Piquin or pequin chili is a cultivated form of the tepin chili pepper. Its name origins from the spanisch word "pequeño“, which means "small". 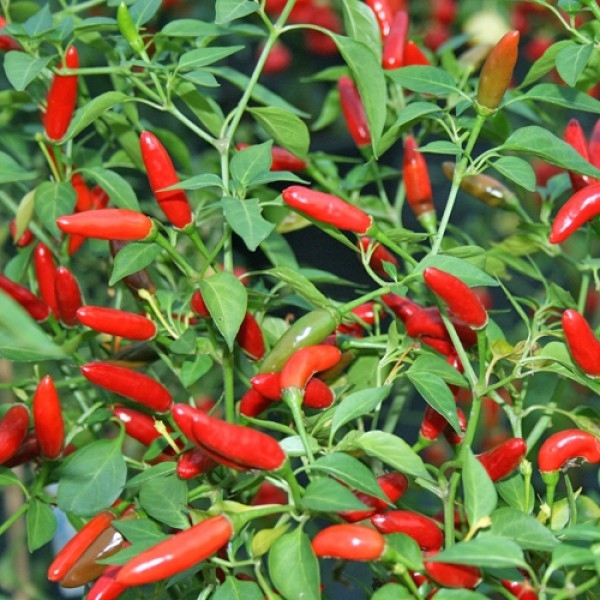 It is sometimes also called “bird pepper”, as birds are very fond of eating the plant’s fruits. The small chillies can develop heat levels up to 100.000 Scovilles. They have a unique and very fine taste with a sometimes sweet bell pepper flavour. They can be used to spice up any kind of Salsas and sauces, soups, stews and meat dishes.